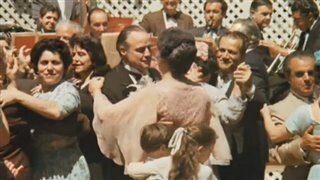 The Godfather, starring Marlon Brando, Al Pacino, James Caan and Talia Shire, tells an epic tale of Mafia life in America during the '40s and '50s. Vito Corleone (Brando) is the family patriarch balancing a love of his family with an ambitious criminal instinct. At the wedding of the Don's daughter, Connie (Talia Shire), youngest son Michael (Pacino) is reunited with his family. 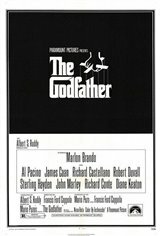 A subsequent assassination attempt leaves the Don too ill to run the family business, forcing Michael and Sonny (Caan), with the help of consigliere Tom Hagen (Robert Duvall), to lead the Corleones into a vendetta-filled war with other mob families. Violent revenge ensues as the family tries to change from its old criminal ways into legitimacy. "It's a great classic action drama I could watch even now so many years later and enjoy it just the same."